MCRTC offers all MLS participants and qualifying affiliate members the Supra System. Sturdy, reliable and secure keyboxes hang on your listed properties to allow only authorized Realtors® access to showings. The full range of Supra products is available from MCRTC; and the Supra system is integrated with the MLS system to create a real-time, comprehensive record of all showings and other accesses to your listings, while allowing MCRTC members to access Supra keyboxes throughout South Florida. If you have any questions, contact the Supra coordinator at MCRTC – Monday through Friday, 8:30 AM to 5 PM at 772-283-1748. If you already have a Supra key and need technical assistance, please contact the Supra Help Desk at 1-877-699-6787, 7 days a week. The XpressKEY is the newest technology from Supra. Smaller than your cell phone, the key uses wireless signals to remain updated and ready to show property whenever you are. All you need to do is keep it charged! 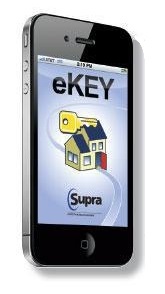 The eKEY system works on any Apple or Android smart phone through the use of the Supra eKEY app. Once your account is setup, you will download and install the app on your device and then activate it with the authorization code provided by MCRTC. An additional fob may be needed to open standard (older) Supra iBoxes which are still being used by some agents. Fobs can be purchased at MCRTC. MCRTC members use the newest Supra Lockbox technology: the iBox BT LE. The iBox BT LE communi​cates directly with most phones or tablets via infrared (IR), Bluetooth® (BT), and Low-Energy Bluetooth (BT LE) technologies. These containers hang on the doors of homes our agents list, providing a safe, secure means to control access to the property by ensuring that the only people who can get the keys are Realtors® belonging to MCRTC, or members of reciprocal boards in S. Florida. Do you have boxes to sell? iBoxes issued by MCRTC may ONLY be transferred to other MCRTC MLS members. Please fill out the form below and give it to the Purchaser upon sale of boxes. To manage your lockboxes and key account, Supra users should create an account on SupraWeb. 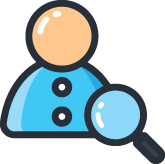 You can see who’s been showing your listings, receive feedback, pay your bill, and much more! All users of the Supra system should create an account for this site; just click the link below and follow the simple instructions.